Navigation: Home / Forums / News / the mushroom kingdom! SPOILER ALERT! In SML2, we find out that Wario hired Tatanga to distract Mario so he could steal his castle. END SPOILERS! maybe it takes place after some land masses have drifted away. 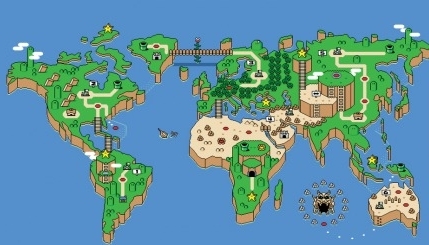 What's funny is that the Valley of Bowser is in the Indian Ocean and scientists just recently discovered a "mini-continent" submerged in the Indian Ocean. lol the irony in it all. 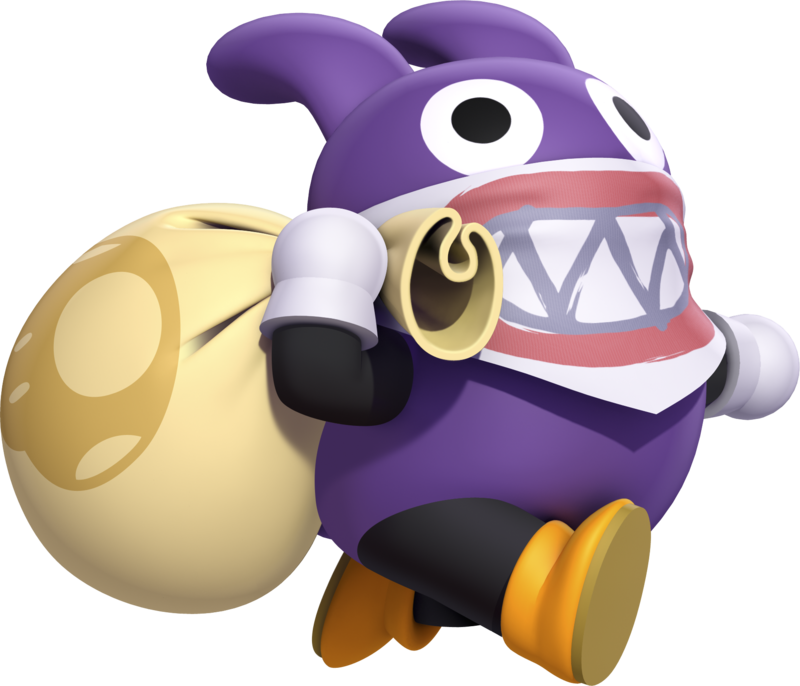 Well as of NSMB U, we now know that there's an entire species (Nabbit) that exists only to steal from the toads. Some are even faster than Mario, and the only things they steal are the ones that give the ability to fly. As shown in the credits, Mario and his coworkers (coplatformers?) are sometimes even oblivious to the theft. 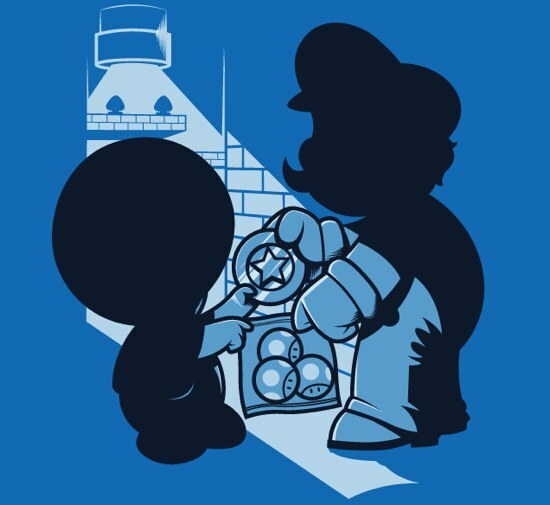 Maybe the next Mario will have the Nabbits as the main antagonists, after they steal something REALLY important! Posts 63 through 73 blow my mind. "The world is not beautiful, therefore it is." That would be pretty cool actually. Their boss could be a huge nabbit that could end up looking really cool. Peach doesn't deserve to be saved if she doesn't hang boiling oil over the castle entrance to turn bowser into turtle soup every time he tries to come in. The 2d and 3d games have nothing to do with eachother, besides the introduction of Bowser Jr.
no im just saying that is why bowser jr. wears the bandana (Super Mario Sunshine) because when he puts the bandana on ( given to him by Professor E. Gadd) he can change what he looks like. I was wondering how, exactly, Mario and Luigi can use warp pipes to journey into Bowser. This would require far more advanced technology than we currently have at our disposal. My theory is that the Mushroom kingdom is a future civilization that was highly advanced, and traded it all to save the world from greedy destruction. Bowser is obviously the major threat to this calm civilization, and Peach is the founder of it. 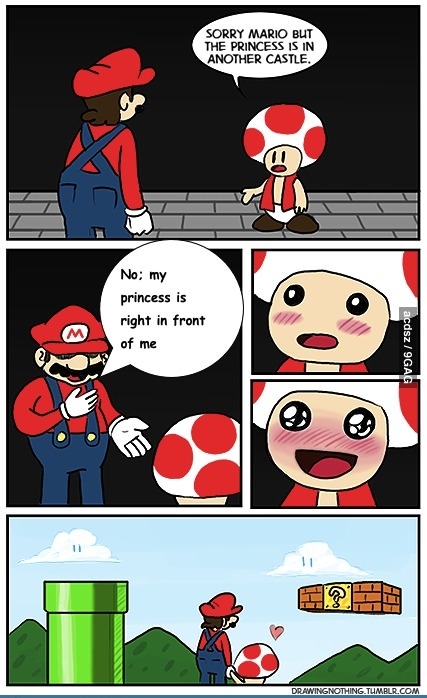 This explains why Bowser has warp pipes in him, and Peach has none inside of her. Bowser is therefore attempting to change the world and reintroduce advanced technology, and Peach is stopping him. Mario is on both sides as he uses warp pipes. He is also the only one that can grab any nearby plant and use it to defeat animals. Mario is just as big a culprit as Boswer. I mean, they both ended up in space. This requires the use of technology, and therefore Mario is actually a villian. The only problem is that Boswer needs to get enemies that actually use the technology. He obviously had airship pilots, but a goomba would be much more effective with a gun. The most advanced of his forces is the Bob-omb. So in fact, Luigi is the best. I'm going to have to go and put my mushroom hat, slippers and glasses on and have a think about this one! I disagree. If you remember the beginning of Bowser's Inside Story, after eating the Vacuum Shroom, Bowser inhales two green pipes next to him, leaving behind two patches of dirt. This is obviously why Bowser has warp pipes inside of him, and to explain the presence of pipes that go in and out of Bowser, Bowser most likely swallowed only the first ends of the pipes, with the other ends remaining after the Vacuum Shroom subsided. How, exactly, the bros/pipes go through the air to get inside of Bowser is indeed mysterious, but imo, some mysteries are better left mysteries. I think Mario & Luigi installed the pipes all over Mushroom Kingdom, & the pipes lead underground to the sewers, where they must walk to the pipe that leads to where they want to go, then climb up. I think the arrest of plumber Mario Mario is a bunch of baloney. The turtles knew the job was dangerous when they took it! (And let's not even get into the fact that they allied themselves with FREAKIN' BOWSER!) AND if we're suddenly talking about sending people to jail, why don't you just look at it THIS WAY. Bowser kidnapped the Princess, that's about a lifetime in prison. The Koopa Troop helped him which makes them accomplices, that's ALSO a lifetime in prison. 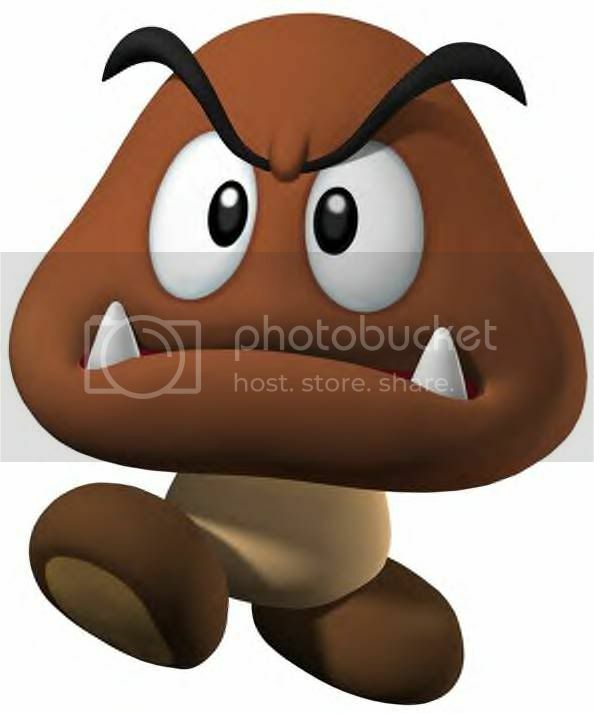 But-OH NO MARIO JUST STOMPED ON A POOR WIDDLE INNOCENT GOOM-HAVE YOU EVER SEEN A GOOMBA!?! Formerly MickeyTheGreat and MickMick. Now I'm Mickey again! Mind = Blown! So much Mario trivia I never knew! Just wondering but aren't Daisy and Peach meant to be sisters? Or did I just make that up?